BedBugCover.com - Mattress Encasement to Prevent Bed Bugs, Allergens, and Dust Mites....Comfortably! Prevention and solutions to control bed bugs, dust mites, and allergens with a soft, cotton-like, mattress cover. 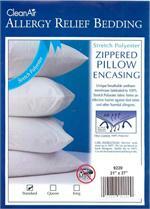 Compare to Protect-A-Bed® AllerZip® products at a fraction of the cost. Fully certified by independent laboratories. Protect your mattress, and your health, with our comfortable and effective bed bug proof mattress encasements. 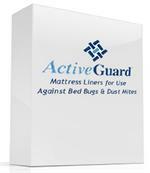 Control and prevent bed bugs, dust mites, and allergens with the effective products found on this site. These same products are used in some of the finest hotels in the country to prevent the infestation of bed bugs, eliminate dust mites, and control allergens. Feel free to browse our resource links to the left for more information. Sleep well.